1. Our felt pads have a tenacious adhesive which does not allow them to come off from furniture legs and tightly hold the pads for a long time. 2. Furniture pads protect the surface from scratches and scuffs well. 3. Never again hear the annoying scraping sound of a chair being pushed against a hard surface, our felt pads help reduce noise from everyday use. 4. 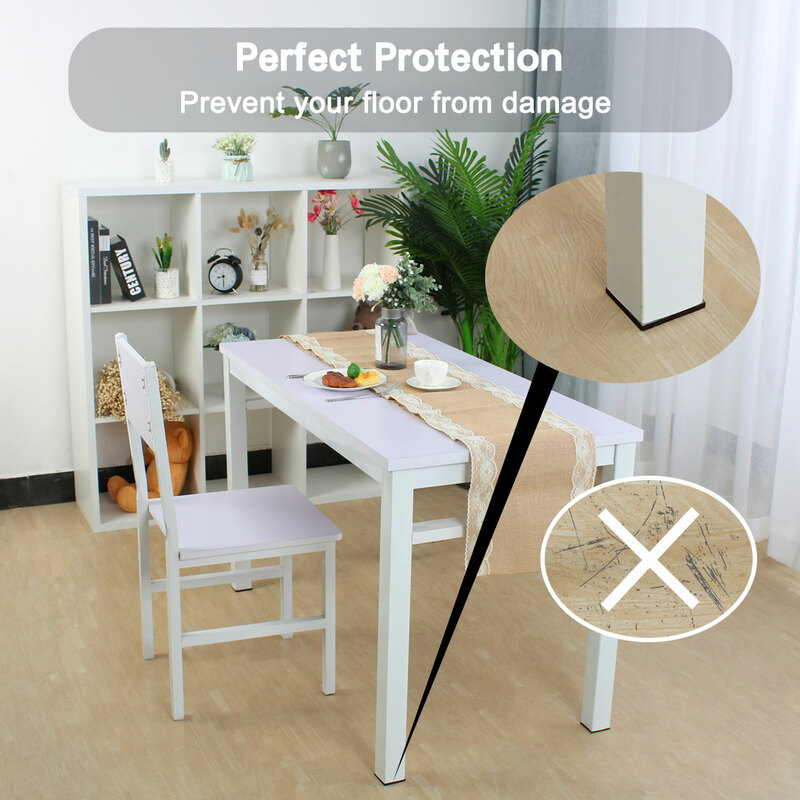 You can protect with our wood floor protectors any type of chair legs, furniture feet and other home furniture, electricals and other items: chair, bed, stool, sofa, ottoman, recliner, desk, dinner and coffee table and so on. 5. Place our felt furniture pads on the legs of your furniture to avoid scratching or scuffing your beautiful wooden, laminate or tiled floors. Protect the value and beauty of all floors with durable yet soft furniture pads on the feet of all furniture. 6. Self-adhesive felt pads are easy to install and offer scratch-resistant protection of cabinets, counters, table tops, hardwood, linoleum, vinyl, tile, marble.